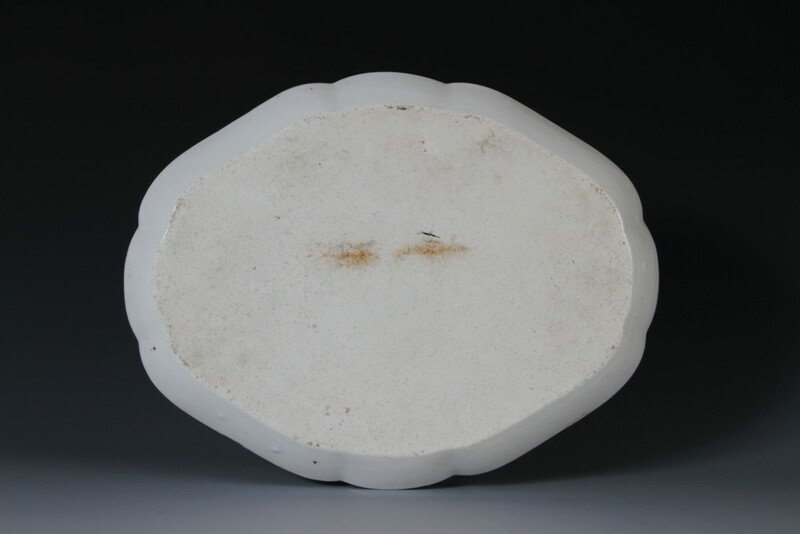 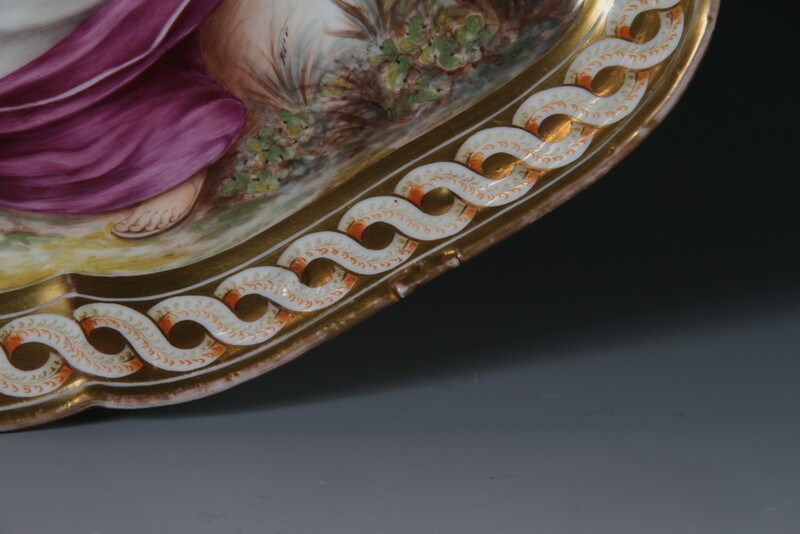 The workshop of Thomas Baxter used blanks of Coalport, Welsh, Paris and occasionally Chinese porcelain. 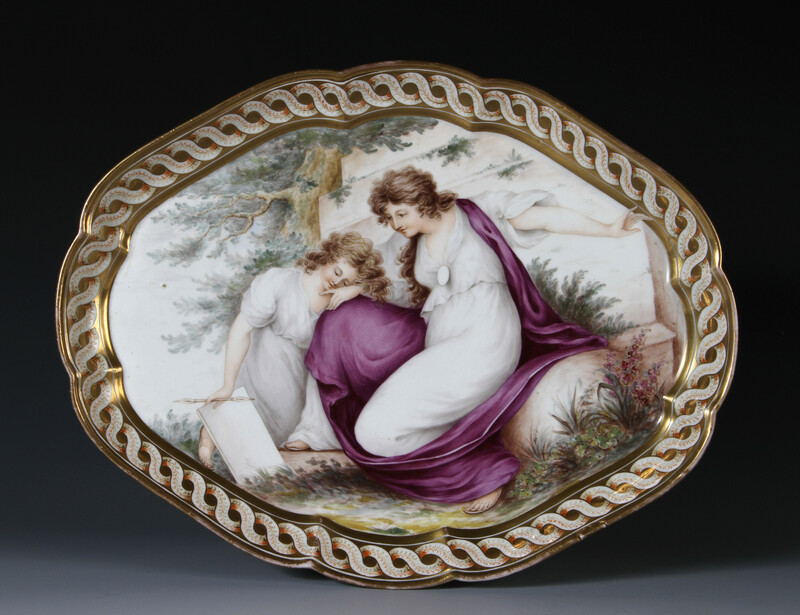 The style of neo-classicism on this dish is very much in the spirit of artists working in England such as Angelica Kauffman and Giovanni Battista Cipriani. 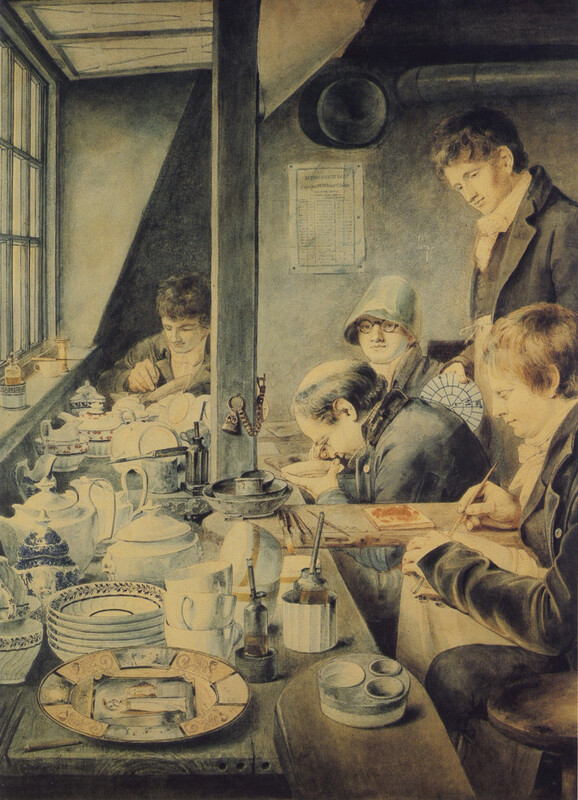 Details of the painting of the features such as the eyebrows and noses show that this is by the hand of Thomas Baxter himself; similar features can be seen in the watercolour, now in the Victoria and Albert Museum, that he painted of his workshop.